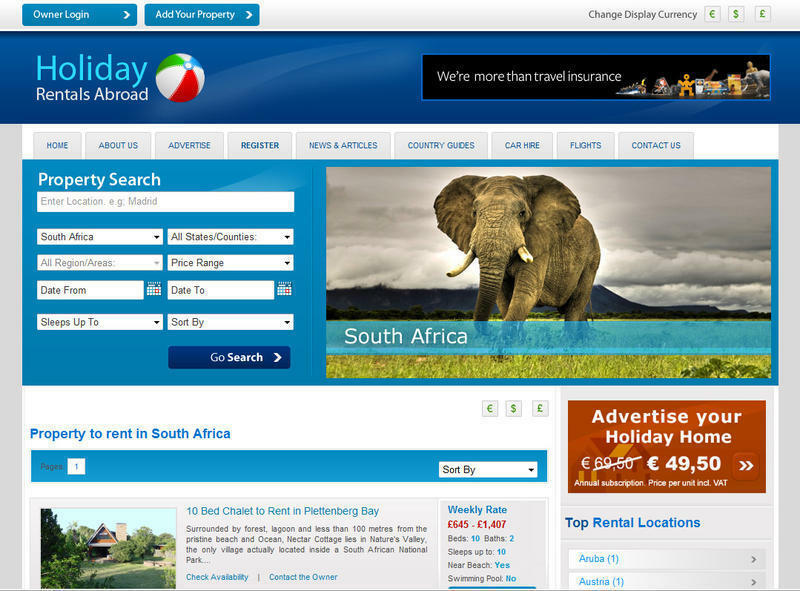 Holiday-Rentals-Abroad is an independed company specialised on advertising Private Holiday Homes around the world. Holiday-Rentals-Abroad has managed to create a solution to expand the reach and efficiency of vacation rental properties to a international audience. Advertising Property on Holiday-Rentals-Abroad is for registered property managers or private home owners. Our professional design & tools will give you the confidence to succeed. Holiday-rentals-Abroad does not charge any commision for properties rented through our website. We just charge a low set annual fee for each listed vacation rental property. All enquiries go directly to the property owner. Holiday-Rentals-Abroad is the smartest and most cost effective way to find potential vacation home renters locally and abroad. Holiday-Rentals-Abroad is freely accessible for anyone who is looking for a Holiday Home Abroad whether a traveller is looking for Villas in Florida, Fincas in Andalusia , Farmhouses in Sussex, Castles in France, Chalets in Switzerland or Penthouses in Dubai.